Preserving tradition and heritage play an everlasting role behind our creations at Choo Yilin. 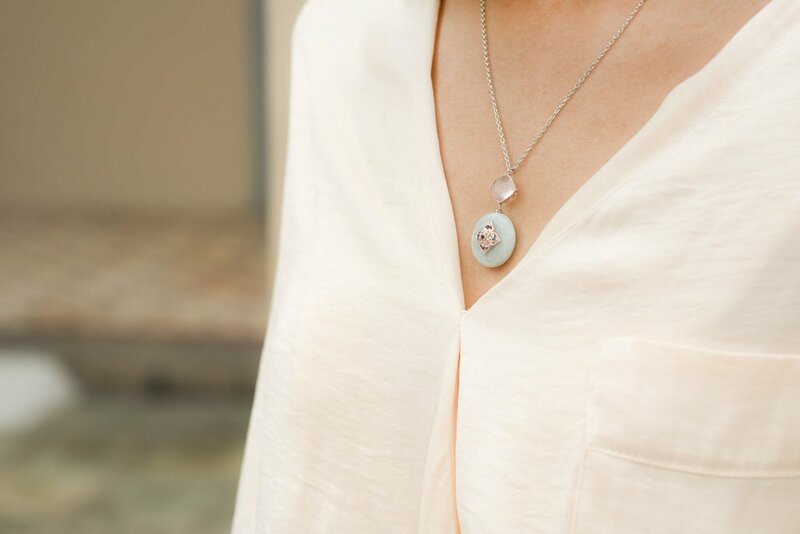 True to our ethos, we translate our love for Peranakan history into refined jewelry, using only time-honoured methods of artistry and craftsmanship in their making. This importance we place on tradition, heritage and craftsmanship mirrors the way of life of the Peranakans in more ways than one. Known for their ornamental decor, sumptuous food and skilled needlework, we explore more the different facets of the Peranakan people that make them such a culturally-rich community today. The cultural practices of the Peranakans are aplenty, formed over generations by the marriage of Chinese, Malay and European cultures. This melting pot of customs mark the identity of the Peranakans — clearly manifested in their everyday lives through intricate home decor, culinary delights, and fashion palate. The Insides of a Peranakan Residence. The Peranakan household is a sight to behold. Brimming with beautiful architecture, the facade is decorated with tiles and carvings. Inside the home, it is no less spectacular. Stucco dragons and other mythical creatures are lined alongside more colourful tiles, family insignia and ornately carved furniture. Bursting with exotic flavour, Peranakan food is an assault of the senses. Fragrant spices commonly used in Malay & Indonesian cooking are pounded and stewed. From starters to desserts the marriage of Chinese, Malay and European flavours result in a unique cuisine that cannot be found anywhere else. Famous Peranakan dishes include the savoury Babi Pongteh and Chicken Buah Keluak. Perhaps the most iconic of all, is female Peranakan wear. A pairing of a brightly coloured Indonesian batik and an intricately embroidered blouse, The Nyonya kebaya is dazzling with colours and floral motifs that embody an array of meanings. Brooches, jewellery and beaded sandals complete the classic Nyonya apperance. The kebaya is still worn up to this day for special occasions and weddings. Ever wondered how the cultural fusion of the Peranakans came about? Historically, the Peranakans’ origins are traced to 15th century Malacca, where Chinese traders were thought to have married local women. The term 'Straits Chinese', were also commonly used to identify the Peranakans ﻿as they were born in the British-controlled Straits Settlements of Singapore, Penang and Malacca. Now, isn’t it obvious how such a colourful past would contribute to its present vivacious culture? Creating The Kebaya is no simple feat. True to the Peranakans' love for exuberance, the Kebaya is made using extensive embroidery and intricate needle-work. The process first begins with designing the pattern on the garment, and then colouring and filling in the details using thread and a sewing machine. The result is a visually arresting garment that is worn and kept for years, transcending trends and seasons. The intricacies of kebaya needlework inform our design process for the Peranakan Flower Collection. We take a simple Peranakan icon — the flower, and transform it into pieces of jewelry so ornate and detailed, they are unforgettable. Just like the Peranakans, our jewelry is a portrayal of a magnificent culture that is unique in history and heritage. Available in earrings, studs, necklaces and rings and various precious gemstones, make the Choo Yilin Peranakan Flower Collection yours today.